an untraceable, profitable yet a simple currency. ReCoal plans to bring simple mining to all devices around you in the Not so distant Future. The power of ReCoal to control mining ensures that there will be no harm to devices and will continue functioning normally with about the same Power Consumption. CryptoNote technology is the backbone of ReCoal. In other words, we can say that ReCoal transactions cannot be traced in any way. And ReCoal will always stay profitable to every single miner. Fast, easy, and cheapest transactions with ReCoal. 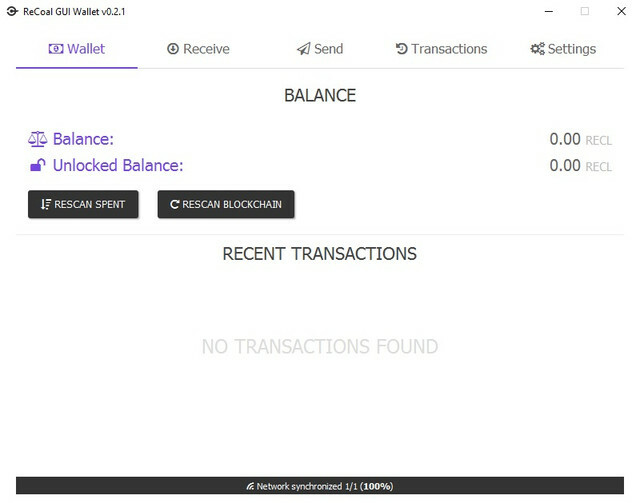 The GUI wallet is used to securely store your ReCoal, and is what you will use to check your ReCoal balance and send and receive ReCoal. The job of the ReCoal daemon is to communicate with the network to notify you of new transactions. The ReCoal Team's aim is to help the COAL users. Our team consists of Developers from all around the globe.